Extremely specialized in all different kinds of schnitzels is the new opened restaurant ‘Schnitzel King‘. 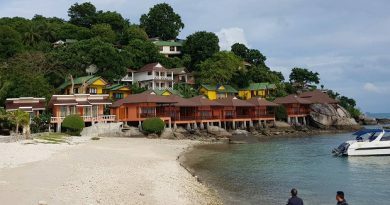 The restaurant is located in Baan Tai village at the south coast of Koh Phangan Island and is open from 14.30 to 22.00 o’clock every single day. The most amazing thing is that i can get my most favorite schnitzel here. With bread crumbs like usual and then on top of it mushroom gravy hunter style and french fries! 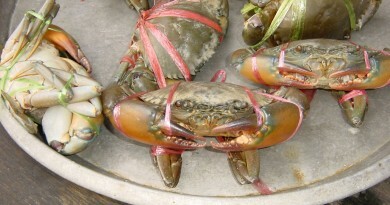 Also available is Thai food of course and other Austrian and German dishes like ‘Schweinsbraten mit Semmelknoedel’! As dessert you can choose a ‘Kaiserschmarrn’, a sort of special made Austrian pancake – just delicious 🙂 ! 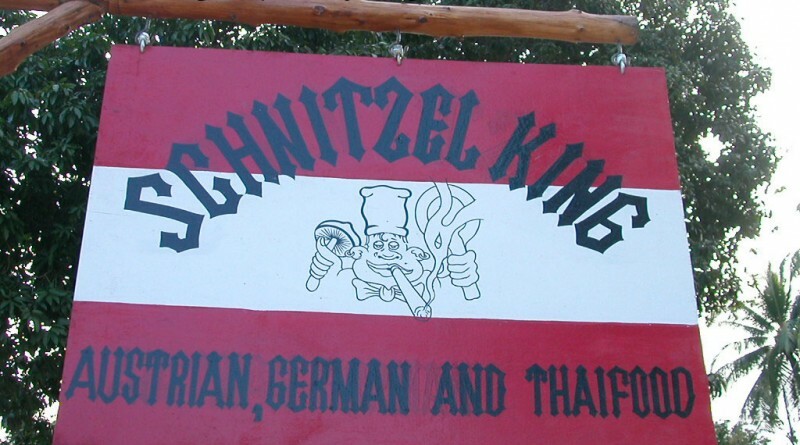 So whenever your appetite asks for something like schnitzel then please don’t hesitate and come have a look here at ‘Schnitzel King’ in Baan Tai village, directly at the main road from Baan Tai to Haad Rin beach. You can’t miss it 🙂 ! would just like to ask Mr King a question……which year are you planning on opening as I’ve been twice now and not a soul to be found?????????????????????????? and no I didn’t go in the morning but between your designated hours!!!! so come on serve me some schnitzel please…………………………………………………………………………………………………. hello to all the Schnitzel Fans out there!! 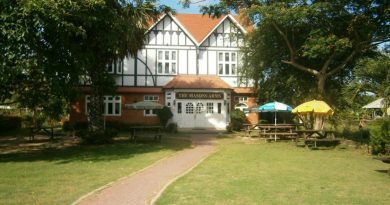 The King will leave this Island soon, he sold the restaurant! But there will be a new King on this island in few months. Where is the old King? The food was much better and the portion much bigger!!! !